UN’s Migration Agency – IOM – on Tuesday said human trafficking and exploitation are rife among Rohingyas who have fled Myanmar to seek safety in Bangladesh. Over 617,000 Rohingyas have settled in Cox’s Bazar since August25, but “exploitation” of the Rohingya population in the district has been occurring since well before this most recent influx of people. The IOM (International Organization for Migration) has identified cases reported by Rohingya refugees who have lived in Bangladesh for years, by those who arrived within the past few years, and by those who have arrived since August. Some people had only been in the country for a few weeks before they were targeted. Desperate men, women and children are being recruited with false offers of paid work in various industries, including fishing, small commerce, begging and, in the case of girls, domestic work, according to interviews and community focus groups conducted in the district’s makeshift settlements by the IOM. With almost no alternative source of income, the refugees are willing to take whatever opportunities they are presented with, even ones that are risky, dangerous and that involve their children. Once they start the job, they usually find that they are not paid what was promised. They are often deprived of sleep, made to work more hours than was agreed, not allowed to leave their work premises and not allowed to contact their family. Women and girls are often physically or sexually abused. Some report being forced into jobs which they never agreed to do. In one case, a number of adolescent girls, who were promised work as domestic helpers in Cox’s Bazar and Chittagong, were forced into prostitution. Others reported being brought to locations different from the agreed destination. In one case, a woman reportedly went to work for a family and was brought back to the settlements dead. The family of the victim received a settlement from the employers. Many of the recruiters are Bangladeshi, while some are Rohingya, and many were established in the area prior to the most recent influx. The number of criminals and trafficking rings operating in the district has expanded with the population. The abuse mainly occurs in neighbourhoods surrounding the settlements, but recruiters are also taking people to places as far away as Cox’s Bazar city, Chittagong and Dhaka. The IOM said it is also aware of cases where Rohingya have been trafficked to outside Bangladesh, and is assisting the victims. Most of the trafficking is taking place inside the country, which follows the pattern of trafficking globally. Forced and early marriages are also taking place among the Rohingya population. For many families, it is a coping mechanism that offers protection and economic advancement for young Rohingya women and girls. “Understanding the scope of human trafficking is difficult in most settings due to the hidden nature of the crime,” said Kateryna Ardanyan, an IOM counter-trafficking expert currently deployed in Cox's Bazar. “In the chaos of a crisis like this, trafficking is usually invisible at first, as there are so many other urgent needs like food and shelter. But agencies responding to this crisis should not wait until the number of identified victims increases,” she said. 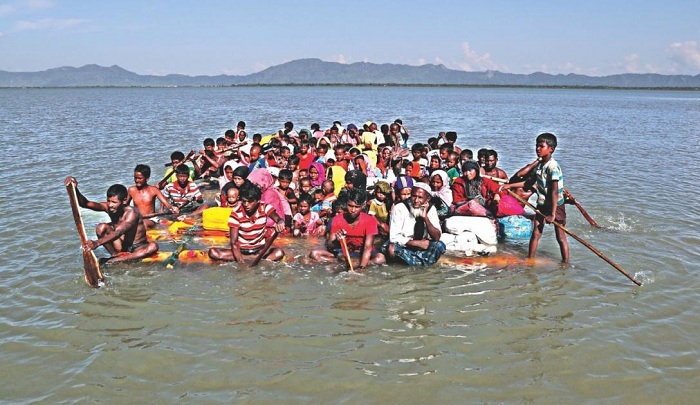 The expert said Rohingyas need preventative and proactive action now to mitigate risks of human trafficking, and the survivors need help, before this spirals out of control.